Hi, my name is Azita and I was born and raised in Iran. I came to New York many years ago for just a short visit and to take some ESL classes. Little did I know that my short stay would turn into a life-time. I received my Bachelor's degree in Psychology and my Master's degree in Counseling, followed by a career in the field of education. I am married and a mother of two wonderful daughters. I enjoy cooking for my family and love to show everyone how flavorful and healthy Persian food can be. I mostly use the same traditional recipes that I’ve learned from my late mother and it’s all done with a lot of love and care. I have been sharing Persian recipes since December of 2008, six months after the loss of my mother. This blog was created as a tribute to her amazing culinary prowess and to honor her loving memory. Thanks for this beautiful blog and your great recipes. God bless your mom! I'm so lucky to have found your blog and want to thank you for sharing your gift and love with the world. My husband is Abadani and I'm American. I had been trying to surprise him with dal adaas. I was shocked to find the recipe, which was delicious, on your site. Are you from southern Iran? Look foward to many more southern dishes and your continued blogs/recipes. You have guided me through learning persian dishes and it is truely appreciated. I thought I should share how much you have been a help! Wow I just stumbled across your page and so happy I did! What a beautiful story. May your mom rest in peace and may you continue to make such delicious foods! 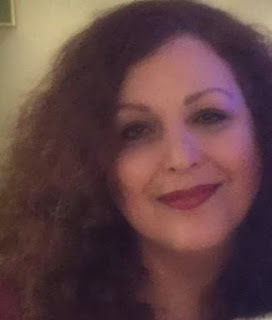 If you're interested in following my blog-I too am Persian- it is www.maffysbite.blogspot.com. Thank you so much for this blog Azita. I've discovered Persian food a couple of years ago and it's become an addiction! Your blog has become a reference for me. I really like your approach of food. It really shows a lot of passion and love, which is the essence of a great meal for me. What a wonderful blog! I have been taking Farsi lessons for the past year and my professor has invited us over for dinner twice. It is nice to see the meal she cooked for us represented here! I really appreciate the cultural insight you give us and cannot wait to share my new knowledge with my professor when the new semester begins! Thank you! Thank you for your wonderful website. Appreciate it very much. Thank you all so much for stopping by and for your kind words. Thank you so much for your wonderful site. My family are neighbors, we're from Iraq, and I've really enjoyed reading your stories and recipes. Cooking is a passion of mine and as I've recently moved for school, I've begun to miss my mother and grandmother's food. Thank you again for the lovely stories and interesting recipes. Sarms, thanks so much for your sweet comments. Anonymous, merci aziz jan! Kheyli mamnoon az lotf va mohabatetoon. Hamisheh shad o salem bashid. Though I never cook but your posts are so delicious! and inspiring that I always read your blog. Coral jaan, Thank you so very much! I LOVE!! your website~DELICIOUS~Thankyou so much for your wonderful recipies,and what a Beautiful tribute to your mum.. I want to thank you for the time and energy you put in to your blog (Khaste Nabashin :) ). Your Blog is a great inspiration to me, and not only when it comes to cooking. It is inspiring that you took the memory of your mother and turned it into a blog (a delicious blog). Thank you! I have enjoyed your wonderful website. The other day my husband brought in some beh from our garden. I attempted to make the beh preserves but they turned out rock hard. Grr...after all that work! I was happy to see your recipe for khoreshi beh. It turned out wonderful with lamb shank. At least I was able to redeem myself. I am all out of beh but will try again with the jam next year. Hopefully you will have new recipes for the beh preserves. It is wonderful to hear your memories of food, family and culture. What a delightful tribute to your mother! May your days be filled with love and memories drinking tea and enjoying Persian cuisine! Dear Gini, Sepideh and Anonymous, thank you all so much for your very sweet comments and support. I really appreciate it. I just stumbled upon your wonderful blog while looking for a recipe for khoresh karafs. It is great to find all those amazing recipes all in one place. Congratulations and merci! Salamu leikum and THANK YOU so much for your blog! I grew up on Persian food and always wanted to learn for myself how to cook it. My dad always made it, and that still stands as some of my favorite childhood memories. WOW! This is amazing, so beautifully photographed! My mom moved down to live with me for a few months while I gave birth to my daughter and I decided to make a cookbook of all her recipes while she was staying with me. I am just now finishing up the book and stumbled upon your blog. After 6 months of making recipes over and over, taking a million photos and forcing my mom to use measuring spoons while cooking, I can REALLY appreciate all the effort you have put into this. I love to see other people share Persian recipes in such a modern and beautiful way! What a lovely way to keep your mother alive! I am truly touched and I know from experience that every time I make one of my grandmother's recipes, it feels so right, it makes me feel good. It's almost as if she's still standing beside me, giving me hints and advice. Your photography is incredibly beautiful and the recipes too. Please contact me if you'd like to do a photo exhibition on The Rambling Epicure. We're crazy about "Food Art"! Hi, Thank you very much for your beautiful and well done web site. I love your recipes and what wonderful way to celebrate your mum's life. As a fellow Persian, I'm always looking for recipes to use. I just found your blog and I'm very impressed. Wishing you the best of luck! Dear Anonymous and Shria77, thank you so much for your very kind comments! You have such a wonderful blog, i love your style, your stories and recipes! Thanks! Carina, thank you very much for your sweet comments! I am so excited to have found your blog. I have been wanting to try cooking some Persian dishes for a long time. I am not Persian by birth but maybe am in my heart. ; ) Thank you so much for taking the time to do this blog! GeekChick, I'm so glad you found my blog and hope you have fun cooking Persian food. Thank you very much for taking the time and commenting. Salam Ladan jan, moteshakeram keh az weblog man didan kardi va kheily mamnoonam az lotf va mohabate shoma. Hamisheh shad o salamat bashi. dear Azita, it's the first time I'm here but it looks like I will pass by mor4e often. I also never tried Persian food, but it's a good time to do so :) many warm greetings! Thank you so much for your recipes! They are a big hit with my family. I have wonderful memories of Koloocheh with date filling with chai when I visited relatives in Khousistan. I can not find any recipes. Can you help me? Anonymous, I am so glad that you and your family like my recipes. Nushe-jan! As for the koloocheh recipe I don't have the recipe but I'll definitely put it on my list to post as soon as I find out more about it. Love your blog, Azita. Some of your receipes are quite unique. Keep it up! Thank you for your recipes and sharing with us. I am so glad I have found your blog. My husband's aunt had the same recipe of that "torshiye mive" which I thought it was original and I see now it wasn't!! It is great to see your recipes from all around Iran's cities. My mom and my grandma are the best cook in our family. Unfortunately I don't have all their recipes but from now on I will stop by to learn from yours. It was most likely a jug of white grapes vinegar in the making. As far as I know it's not that hard to make homemade vinegar. You'll need a large glass jar, red or white grapes, some "mother" of vinegar, a warm place, backyard under the shade of a tree sounds just right. Don't cover the jar but instead of leaving it all exposed you can loosely drape a cheesecloth over it so flies won't get into it. I hope this was helpful. Thank you so much for sharing your recipe with us. You are a beautiful Persian lady with many talents. I love your blog very much. Your blog is beautiful and done with great taste. I really like your recipes. They are simple to make. Pictures are well done, make me hungry. I wish you more success. God bless your mom for bringing a wonderful and generous lady in this world. made out of wheat and beef? brunch with eggplant haleem and wheat/beef haleem with fresh noon barbari, sharshir, panir and jam. I have been trying to find a recipe for using 'Rhubarb' in East Indian cooking (ie. India) and I have stumbled on to your site. I hope my wife can try out the goat-rhubarb recipe. Would be thankful if you can give some tips. I came across your Blog on Google, and I have probably been on your blog ever since discovered.. looking at recipes, beautiful pictures and reading the stories. I am newly wed, married to a non Persian. And of course in the process of learning many healthy ways of cooking. Your Blog will definitely be a start point to introducing the authentic Persian cooking along with the stories. I have already emailed your Blog to loved ones. Many thanks to you for doing such a kind gesture and sharing you recipes to us with so much love. I just love your site! All of your recipes have been so easy to follow and most importantly have just been delicious! Thank you for being my go to recipe site for persian cooking. Thank you!! Hello Azita, your site is wonderful - thank you for sharing your recipes. Hello Jeanna, I hardly ever use advieh in my cooking but I'm going to ask my Hamadani relatives for their advieh recipe and I'll post the results. Thank you. Thank you Azita (and to your relatives)! I look forward to the posting. Salam Azita joon, I'm Sara and I'm half italian half persian and I just love cooking. I live in London and my family lives far away from me. Reading your blog and you recipes make me feel like home, and I think you make with this blog a wonderful tribute for your maman joon. Salam Sara joon. Thank you very much for your kind words. I truly appreciate it. I just want to say big big thanks for your site and your recipes. I love cooking and Persian recipes is something new and exotic for me to try. I love your site and recipes. Thank you for such beautiful blog. It is very delightful and creative. I hope you continue and expand your site!!! I have recently discover this page. Just wanted to say that I really appreciate your nice work here. Your recipes are quite accurate and carry it's originality. Pictures does help someone with no background with persian food. Although I know how to prepare traditional Persian food, but I do sometime check your blog to make sure I am not missing any ingredients. Keep up the good work. Looking forward to find more delicious familiar receipes! Kholocheh recipe. Enjoy the sugar hangover! Before this you must add 1/2 tsp sugar, 2 tablespoon warm milk , 1 tablesspoon active yeast and let sit for 10 min. Add the yeast ingredients to butter, pwd. Sugar, oil, egg yolk . Etc. let dough rise for 20 -30 min. Mix baking dates in a pan with 1 T pwd sugar, 1 T rose water and one teaspoon tsp cardoman powder. You may also add orange water or vanilla as a substitute for rose water. Roll dough out and cut into 1/4 inch think With cookie cutter. Add paste in the middle . bake in preheated oven at 400 F for 15 to 20 min . Brush with egg yolk and saffron decorate with imprints from fork or mohr. Variation. Substitute 1 c of wheat floor so that it is more like the stone ground kholocheh of shustaris ! Nushe jan! Your blog is very unique , I can really smell the Ghormeh sabzi aroma on your hands and daman .. although many modern age Persian women will take this as an insult. Having a traditional cooking Persian mom you will probably understand what i mean by it :) . My late grand father was a "abbdogh khiyar" guy. I wanted to see if you have good way of doing it and also I wanted to know if you know how to make "sohan" , "palodeh" and "noon-taftoon" . First of all God Bless U for starting this site as a tribute 2 Ur Mother! Its touched my heart ! am a Vegetarian from India n love ur recipes of Moong beens + Kohlrabi, and other beans n Vegei recipes. Am looking for a mixed beans + rice soup/stew made with dill leaves+scallions+onion-garlic paste...combo of kidneybeans+chickpeas+Mung+Lentil+BlackEyedPeas+Rice...called Usher Brench or something like that. The Iranians settled in India make it. Can u post that recipe. I roughly remember how 2 make it but am not very sure. I was looking for that recipe n came across Ur wonderfull site. Would like 2 email U as I want 2 also ask many other food Q's. can U plz help. thanks. Its 1.12am Eastern Standard time 26 April. Since 25th morn till now, all I did was go through each n every recipe of Ur site. wow ! wow!...wow...I am totally impressed with ur efforts, Ur pics, Ur anecdotes...etc...etc on Ur site. I wish U were my Neighbour. I sincerly thank ur mother n U...Ur Maa inspired U n U put out such a wonderful tribute for Her!!! so thanx 2 U both V all get 2 Learn new spice n vege n food combos! In India My Persian friends used 2 make Okra in Tamarind sauce, Lentil in tamarind sauce n many other Beans+rice combo dishes. Ur pics remind me of my time with my Persian friends. I have already selected what 2 cook the next few days from ur site. thanx for such a Mother-loving effort. Best Wishes n God bless 2 Ur fam n U.
PS Thanx for ur suggestion, I have gone through ur aash recipes n will b cooking most of them minus the meat/chik/egg/lamb. First will b cooking Lentil aash with tamarind as per Ur recipe but will add hot chillies as my hubby loves it spicey hot, will that b ok? Eggplant is my Favorite too, so guess what will b buying many pounds of it as I want 2 make Eggplant tashi n Ur other egggplant recipes. I have forgotten so many names of dishes that I ate @ my Persian friends home in India. I will b looking forward 2 Ur recipe of Aash-e berenj. Thanx n God bless - Lakshmi. Its been more than 30yrs since I had the tasty Persian food in India...I am very happy that finally I shall b able 2 cook it too !!! Ur site was so enchanting that since yesterdays 11am have been @ it! am going 2 log off as my beauty sleep awaits me its long past my bed time now...Good Night n God bless. N many many THANKS for Ur informative site Lakshmi. Thank you very much, Lakshmi jaan! Your comments made my day! I am so happy you find my blog useful. Wow, thanks for sharing so many amazing recipes! 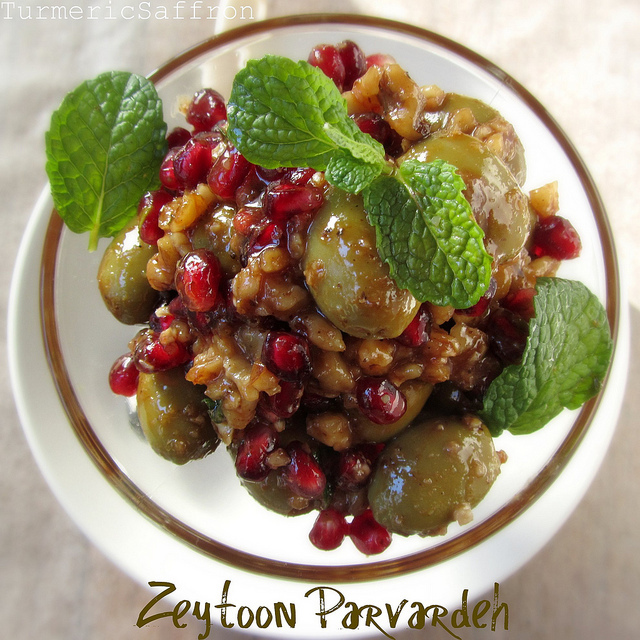 I'd never eaten Persian food, and just found this site while looking for recipes to use barberries (which I bought out of curiosity at a bulk food store just because I'd never heard of them). I made the most amazing meal tonight with a few of your recipes, and I'm eager to try many more. Ba Dorood Azita Khanoom, I was looking for an authentic recipe for Ghalieh Mahi (found several but yours seems authentic). 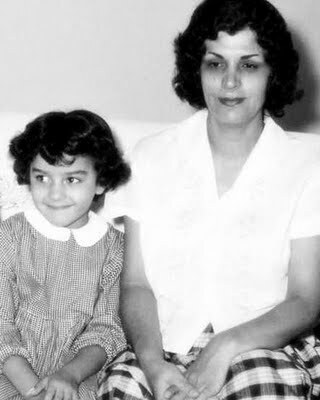 I am originally from South of Iran but I was 6 years old when we moved out of Abadan. My mom used to make this stew and I was eating it once in a while; however, as a kid, I was not a big fan of this dish. As I got older and appreciate a healthy eating, this dish is jumped from bottom to top of my favorite healthy Persian foods. I never made this dish. My mom has a sever memory loss and not able to remember many things as well as Ghalieh Mahi recipe (she was the best to make this dish, according to my family and relatives). When I found this recipe on your blog, It really made my day. Now I can make it for my friends since they keep asking me to make it, and keep telling me I am not a real Abadani since I don't know how to make this dish or haven't made Ghalieh Mahi in my life? Marjan jaan, thank you very much for your heartwarming comment and I'm so glad you found this recipe useful. I came across your blog about a week ago while looking for Iranian/Persian food recipes. I developed a love for cooking 4 years ago and have been cooking mostly Lebanese food as it's not available where I live and miss having it at home "Mama's cooking". I've had iranian food a couple of times and it was fabulous, so I was really excited when I saw your blog. While I have not yet tried any of your recipes(I promise I will), i find myself coming back to your site 3-4 times a day just to read the lovely stories that accompany each recipe. With every word you write I sense calmness and elegance, sweetness along with love and passion for your culture and cuisine. I am addicted to your site and stories. I will be commenting on the recipes I make. Ghalieh Mahi is the first on my list and will make it on Sunday. Thanks for your nice comment, Abbas! I'm so glad you are enjoying the blog and I welcome comments and feedback about my recipes. what a beautiful blog and the pics are outstanding!! congratulations! Is there anyway you can create a section that has links to your dishes (maybe even sections i.e. ash, rice, etc.) so I can click on them for easier reference, rather than going through the entire blog to look for things? Thanks! Banafsheh jaan, thank you very much for your kind words. Dear Azita, Thank you so much for sharing these amazing recipes! Just looking at the pictures make my mouth water. As a recent college graduate who misses her mom and dad's cooking, your website has given me the confidence to make my own persian food! :) I had a question regarding the naan berenji cookies. My friend is vegan so I wanted to use an egg substitute. What do you recommend? And do you think it would turn out well without the eggs? Thanks! Nina jaan, eggs in naan berenji binds together all other ingredients. You can try a store bought egg-substitutes. They are relatively flavorless and may work well in this recipe. Please let me know how it turns out. Thank you for your kind words and I'm glad you find my blog useful. I recently married a wonderful Persian man and have fallen in love with Persian food as well. I am trying to learn as many dishes as I can to prepare for him and your blog is one of my favorites! I am trying to find an authentic recipe for basic saffron rice but can't find any. Would you ever post how you make it? Shohreh jaan, thank you so very much for your sweet words. Thank you very much, Zohreh jaan. Shoma ham movafagh o shad o salamat bashid. Terrific Blog, can't wait to start cooking! Hello! I am a vegan and a LOT of your recipes gives me new and more diverse recipes to try and my best friend is Persian so I eat at her house whenever I can. I LOVE Persian cooking! Thanks for your posts and recipes! Hello Jessica and thank you! Thank you for your wonderful blog! I am dating a really lovely Iranian man and wanted to learn to cook things that were easy to do that I could try so I could be able to experiance his culture. :) Your blog has been wonderful with getting me into the groove of what is the core of the menu. I was wonderfing if you could offer me an idea of what would be good to stock my spice cabinate with that's more common in Persian cooking? What are the 'can't live with outs'? Mariana, The more common spices in Persian cooking are: turmeric, saffron, advieh (a combination of spices), limoo amani (dried lemon), sumac, cinnamon, cumin, and some dried herbs such as dried mint, dried dill and dried fenugreek. You always need to have fresh lime/lemon in your kitchen. Limoo torsh (lime) adds a refreshing and rich flavor to many of our dishes and plays an important part in the Persian cuisine. Your website is the most unique web site in internet for Persian foods. Thanks for this beautiful blog/site and your great recipes. Could you please share your email address which I can send my request for some cooperation. I just discovered your blog and am really excited to try some of your recipes! Great job on the photos and the presentation of your dishes! Thank you for sharing your mom and your recipes. Khoda rahmateshoun koneh, rouheshoun shad, I know she is very proud of you. I made couple of your recipes (Nan Brenji and Cake Yasdi) and they were fantastic. My mom was here for s short trip and tasted them and she asked me from where I got such good recipes. Now every time I make them I will be thinking of you and your dear mom. Salaam aziz jaan and merci for your very kind and thoughtful words. They mean so much to me. Thank you. Salam Saeed jan, moteshakeram az mohabatetoon, shoma kheily lotf darid. Shad o salem basid. Mamnoonam. Hello :) even though ive never experienced iranian cooking, i seem to do it naturally. I often mix aubergines with tomatoes, rice with herbs and yoghurt with spinach. Looking at your recipes, it seems the cuisine may be in my blood. My father is iranian but he never cooked and ive never met other iranians. I am vegetarian. I dont eat flesh, eggs, onion, garlic or mushrooms. This is a common diet amongst ancient cultures and many still abstain from these toods today. I was hoping you could advise me on how to recreate your dishes to suit my limitations? Could chicken be substituted for paneer in fesenjoon and salad oliver? Thank you very much. Ps. You have very beautiful eyes. Yes, you can substitute the chicken for paneer or tofu in salad olivie and fesenjoon. Thank you. I cannot tell you what a lifesaver it has been to have found your blog! I am living in Spain and not only is the Iranian community really small but my family is also in the United States so it's nearly impossible to find Persian food. I also have the hardest time trying to get recipes from my mother since she is so traditional and cannot give me accurate measurements to save her life! Your blog has seriously been such a blessing for me and I cannot thank you enough. I am also sorry to hear about your mother but know that you keep her alive through this blog and these recipes. Roohesh shad. Thank you very much jaanam for your comment and kind words. It means a lot to me. Your presentation of food is beautiful, and everything sounds and looks so delicious-thanks for sharing such authentic recipes, I hope to try some soon! Rooheh madareh geramitoon shad. I too lost my wonderful mother some years ago, and since I learnt almost all my cooking from her, I'm sometimes at a loss with some details that have gone rusty with time. Just came across your wonderful blog while reading The Guardian, and I have to say what a Godsend! Your recipes are very similar to her's, and I shall be using them as references whenever necessary. Also, I often have problems when trying to give recipes to non-Iranians, as it's always been "cheshmi" with me. Well, guess where I'll be referring them to henceforth! Thank you so much for all the hard work and love you put into introducing our fine cuisine to the world! Ami jan, thank you very much for your kind comment and I'm so glad you like my blog. moteshakeram az lotfe shoma. Dear Pam, thank you so much for your lovely comments and I'm glad you like my blog! Thanks for all the great recipes. Do you know how to make Lowz dessert? Thank you! Yes, I'm going to make this dessert and write the recipe soon. Your recipes look amazing!! Both my parents are persian, though I was born and raised here. I love to cook and am very happy to have found a website that will guide me through some of my favorite childhood meals!! One thing I would love to try at home is Khoresht-eh Spinach, would you happen to have any great recipes up your sleeve?? Thank you Michelle! I have a good recipe for khoresh-e aloo esfenach and hopefully I'll write up the recipe and post it soon. You have done a great job. I am trying to make such blog in dutch. What a great way to honor your mom's memories. Khoda rahmateshoon koneh! A while ago I was looking for a recipe on making sharbate khakeshir and that's how I found your blog. I have been in love with it ever since. If I have a moment to read, I am reading your blog and the recipes, not just for the recipes, but for the stories that are attached to most of them. They take me back to Iran! I was wondering if you could write a post on how to make chicken for zereshk polow or other kinds of polows. Last time I served it with rotisserie chicken which tasted pretty good, but what if I want to make my own chicken, like my mom used to! I have asked her for her recipe, but I am curious to know how you make and serve yours. Thank you for your time and all the great recipes! Merci Parisa Joon, Happy Nowruz! I have been reading your blog for a long time and decided to finally send you a note to let you know how much I love your photos, stories and recipes. I've been married to an Iranian for the past 28 years and we live in Tehrangeles with our 3 beautiful children. I often refer to your blog for recipes that I haven't mastered yet and to help me when I'm teaching my children about their culture. We have used your recipes and history lessons to share with the other children in our Farsi class and they are always a success. Thank you for your beautiful blog and for sharing your culture with us. Aide Shoma Mobarak and I wish you and your family health and happiness in this new year. Happy Nowruz! Rosie J. Thanks for your great recipes, God Bless your mom's Soul. Wishing you all the best and thanks again. Salam Nooshin jan, Merci azizam. Mamnoonam. Salam Janam, thank you very much for your kind words! well done:) god bless your mother azizam, you are doing such a fantastic job, love is every where in your website! What a beautiful, yummy blog. My Italian wife is a Persian food addict and uses your recipes all the time. Thank you Azita khanoum. Azita - What a wonderful way to honor your mother with this website! Now your family and their memories live with all of us in our kitchens and hearts! I am sure to find something here that my Iranian-born husband is likely to really enjoy. Thank you! Hi dear Azita just read this article and realized the reason for becoming a food blogger. Reading your post brought tears to my eyes knowing that you started blogging in an effort to pay tribute to your late Mother. I am sure that she is resting in pieces and watching you from heaven. Fariba jan, thank you so much for your kind comments. Hello, I just came across your blog and can't wait to start trying your recipes. I'm Persian, and living with my Filipino wife in Montreal. My mother and aunt have raised me on Persian home cooking but I've never been able to cook dishes at home with my wife the way they do it. Every time I ask them how do you make a dish, they always look at each other, smile a little and say, "oh you know, we put in a little bit of this and a little bit of that" It always comes out so delicious when they cook, but I'm never able to get anywhere near it in terms of flavour and texture. Looking over your blog and directions, I actually think I can do this! I'll pick up some ingredients this week and try out one of your Khoreshs next weekend. I can't wait! And, by the way, your photos are simply stunning. You could have a blog just dedicated to them as far as I'm concerned. Absolutley LOVE your blog! I have been searching for Halem recipe for ages, and now I've found it! Thank YOU! I came across your blog while searching for information on Persian cuisine and I am so happy I found it! I am glad that you talk so much about Iranian cinema which is so refreshing and clever. My wife and I will visit Iran for the first time in May and I am so looking forward to being there. When I moved to a large city to go to college, I met an amazing Iranian woman who soon became my best friend. She introduced me to Persian cuisine and it immediately became my favourite food. My dearest wish since this time has been that a Persian family moves to my little village and opens a restaurant so I could eat ash-e reshteh, koobideh and kabab everyday. I am very grateful that I found your amazing blog. I do not have the pretention to become as good as an Iranian maman, but it is a pleasure to me to enjoy these flavours that I appreciate so much at home when the closest Persian restaurant is 200 miles away. And my friend is very proud of me when I come up with a Persian meal that I cooked by myself. Merci and I will continue following you with great interest. Ba salam Azita, I am really enjoyed your blog, many Thanks for recipes and for sharing. I am using the recipes a lot. Thank you, Azita jaan. Dastpokhte shoma is very close to my mom's, and that's why I almost exclusively use your recipes to cook here in Chicago. Keep up the good work... we do appreciate the effort even if we don't leave a comment. Payande bashid. Merci, Ali Agha! Kheily Mamnoonam! I`ve only just found your blog by accident, but I`m already hooked on those fabulous recipes. Thanks for sharing!! I've been visiting your blog for years, really enjoying all the great recipes. I left Iran in 1978 and end up staying here. So yesterday after sharing your recipe on beets on my facebook page, I got a message from a great friend of my son and daughter in law, Sara Payne that you're mom of her friend Sara. So there we go, we're somehow introduced. :-) Keep up the great work. Awesome blog! Do visit mine, there are so many similarities in our cultures. I just wanted to say thank you. My dad is an Ahwazi (my mom is American) and my grandma has lived with us since I was a child, but while she is a wonderful cook, she is very difficult to learn from. (Growing up, I could always help her in the kitchen, but she never turned over the spoon and skillet to me to do by myself, and that is how I learn!) I looked through your recipes and they look very similar, if not identical, to most of my nana's cooking! She is from Urmieh and my late grandfather was born in Russia, so the Russian-influence recipes are especially helpful as I work to keep her style of cooking alive. She is 85, so I don't have much time left to surprise her! Hello Azita, thank you for the wonderful blog. It is the best food blog I've ever come across. What you do here is pure art. I mean all these from my heart. Amazing work, all the attention to detail is fantastic. Thank you again to share your rich heritage, culture and beauty of Iran. I am from Turkey and I will try your tahchin recipe for my guests tomorrow. Already excited about it. Farnaz joon, man yek donya az shoma mamnunam.Eidetoon Mobarak. Happy Nowruz! I too have discovered your lovely blog here in Australia and am enjoying reading it and planning to put the recipes into good use very soon. Thank you for providing such great source for our beloved Iranian cuisine. I have been using your blog for years now and I am really grateful for your recipes. It has saved me many times whenever I wanted to showoff my Persian cooking to my non-Persian friends and indeed it worked well! Just discovered your site. Love your style. Thnaks for sharing your talents. I just came back from a trip to Iran and had a wonderful potato dish in Shiraz. It was served with breakfast at the hotel and again during lunch when on tour to Persepolis. I've been eating and cooking Persian food for twenty years and have not come across this potato side dish. The server at lunch said it was local. Any idea what it might be called? No egg, so not a kuku. Not fried like kutlet either. It was so tasty, I would love to find a recipe! Lori, it's called dopiazeh aloo(potato). I'll post the recipe on my blog. What a beautiful way to honor your mother's memory. May she rest in peace. I appreciate you making Iranian culinary art and history available to all through this blog. I follow you on Facebook and enjoy your blog. Thank you. Hi Azita, I came across your blog upon searching for some Persian recipes after my trip to Iran a couple of months ago. I just wanted to drop a message saying your blog is beautiful. Thank you so much for sharing all these recipes passed on from your mother. I absolutely fell in love with Iran and hope to return soon. I'll be cooking Iranian cuisine using your recipes in the meantime. Mamnoon! Hi Nunu, I'm so glad you like my blog and I hope you try out some of the recipes. Kheily Mamnoon!